Iran – Evin Prison, 1 November 2012. 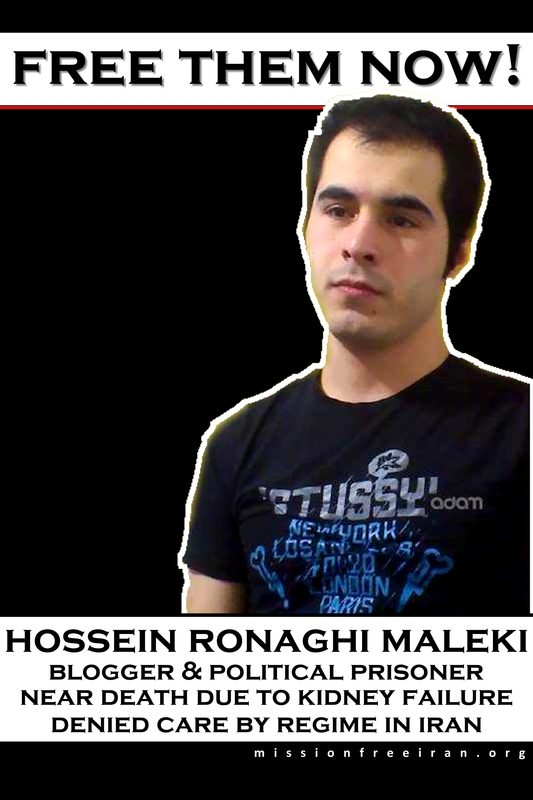 Human rights activist and political prisoner Hossein Ronaghi Maleki was finally sent to a hospital, and then returned to Evin Prison. Hossein, a known human rights activist who was on medical leave from jail during the recent earthquake in Azerbaijan, was arrested for volunteering to help the earthquake victims (of course, those who are not familiar with the nature of the Islamic regime find this at least strange). He was beaten savagely and transferred to Evin prison. He was then (naturally) denied necessary medical treatments. As Hossein’s heath deteriorated radically, he was allowed to be treated in a proper Hospital in Tehran yesterday before being returned to Evin. Hasheminezhad Hospital authorities have ordered the Evin headmen to return Hossein back to the hospital for continued treatments.